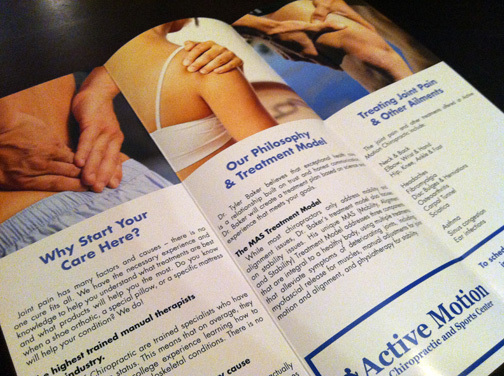 This September, Scott Creative completed a brochure design for Active Motion Chiropractic (Omaha, NE). Dr. Tyler Baker was looking for a brochure that could be used to explain the benefits of choosing chiropractic for treatment, his unique treatment model and available treatments. Copy is accompanied by several high quality stock photos. 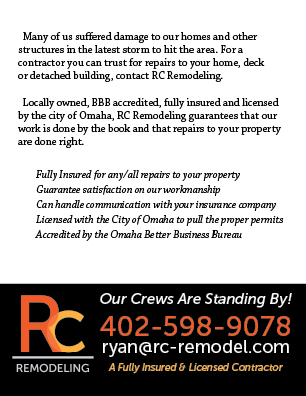 The tri-fold, six-panel design was printed on 80# gloss text in full-color. 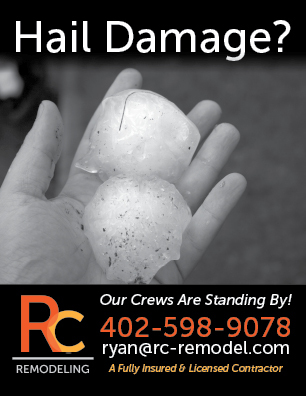 At a scored and folded finished size of 11″ x 4.25″, the brochure is a little larger than the average brochure.